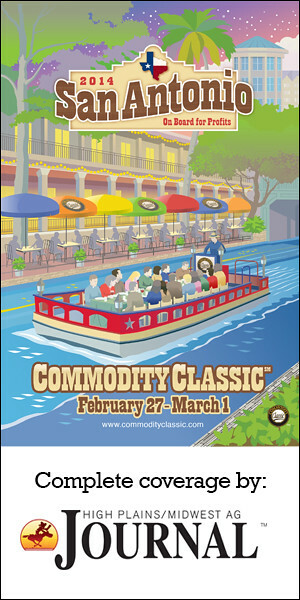 Presidents of the American Soybean Association, National Corn Growers Association, National Association of Wheat Growers and the National Sorghum Producers had a frank discussion with moderator of the General Session Mark Mayfield about the sustainability of each of their commodities. Danny Murphy, president of the ASA said his organization has implemented protocols for sustainability. The development of the protocols came partly from consumer requests to do so. He believes that most U.S. soybeans are produced sustainably. Pam Johnson, president of the National Corn Growers Association said corn continues to thrive because of continuous improvements on the farm and the way corn is grown. Farmers are better able to produce more grain with less inputs and take full advantage of a corn plant that can maximize water, nutrients and sunlight. 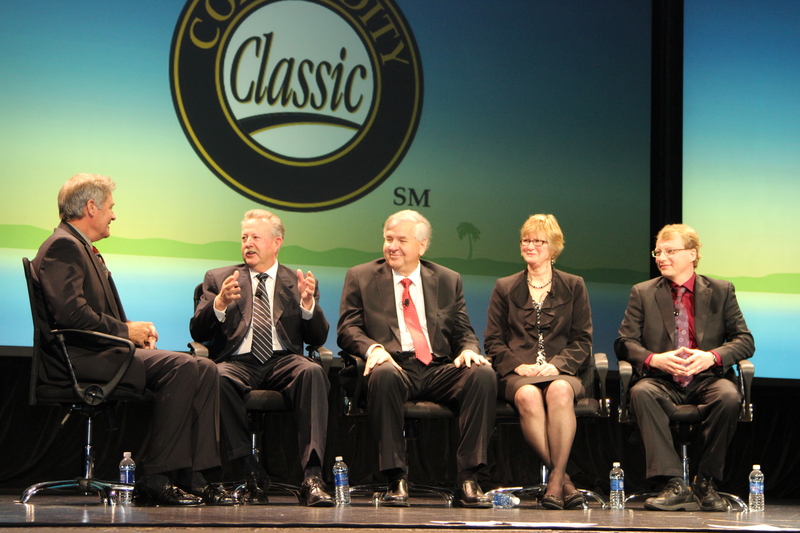 Johnson called upon not only Commodity Classic attendees, but also on Americans across the country, to act now. The youngest president on the panel, NAWG President Erik Younggren reiterated the fact farmers have to tell their story. We are doing more and more with less and less, he said. Using social media tools to tell the story of agriculture, is easier now more than ever. Younggren stressed the versatility of wheat, and said there are six different classes each with their own use. National Sorghum Producers President Terry Swanson believes coming from stress has given him a lot of advantages, and in turn has made conservation easier. In his own operation Swanson sees sorghum as profitable and it works for his crop rotation, as well as a commitment to conserve resources.